Louisiana’s No. 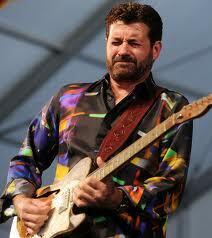 1 roots export, bluesman Tab Benoit plays Tuesday at The Rialto Theatre in a KXCI Presents! concert, doors open at 7pm. Tune in to 91.3FM today during Ruby's Roadhouse at noon and The Blues Review at 5pm for your chance to get tickets by dialing 520-623-1000 or clicking online at kxci.org and becoming a new or renewing member of KXCI Community Radio . More than just an acclaimed bluesman, Tab Benoit is an indefatigable conservation advocate. Benoit is a driving force behind Voice of the Wetlands, an organization working to save Louisiana’s wetlands.